Here’s a great offer from our friends at Wiggle. Conti GP4000S tires have all the features you know and love but with the new ‘Black Chilli’ compound that increases grip while reducing rolling resistance. VCSE can vouch for their super sticky nature and confidence inspiring grip even in the wet. 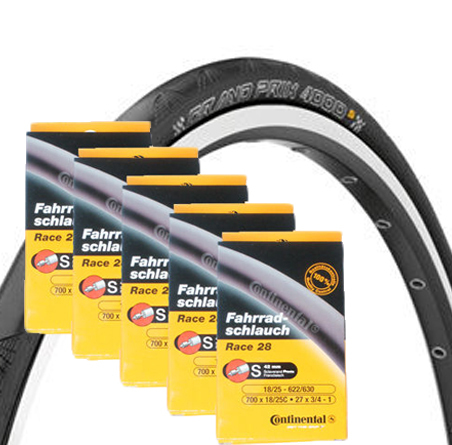 This deal supplies two GP4000S tires in 23mm or 25mm width and 5 Conti tubes. Normally priced at over £110 you will save 40% and pay just £65!